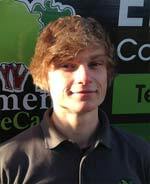 Element Tree Care is a Leamington Spa based tree surgery company serving Warwickshire and the Midlands. The company places a high value on professionalism and quality workmanship. All work is carried out by FdSc qualified and NPTC certified arborists, and to industry standards (BS3998:2010 The British Standard Recommendations for tree work). Element Tree Care carries full public liability insurance. We are CHAS Accredited Contractors. 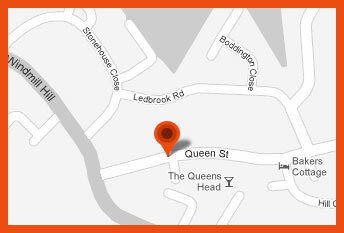 *Your email address and personal details will be kept in the strictest confidence. 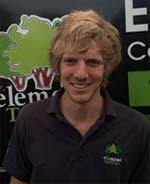 I first set up Element Tree Care in 2007 with the aim of running a small local and friendly Tree Surgery company serving Leamington Spa and the surrounding villages. Over the years and with many thanks to our friends and customers we have gone from strength to strength. I am proud to say that despite the rapid growth we have maintained our friendly and personal service. Still based in Leamington Spa we now have strong customer bases over Warwickshire, Oxfordshire, Northamptonshire and the surrounding towns and villages. As well as a strong domestic customer base we also have a long list of commercial clients who have enlisted Element Tree Care for work ranging from large scale tree works and construction site work to regular maintenance of hedges and trees at offices and work sites. The company is accredited by the Contractors Health and Safety Assessment Scheme (CHAS) and are registered contractors under the Construction Skills Certification Scheme (CSCS).. All work is carried out to industry standards (BS3998:2010 The British Standard Recommendations for tree work). The company carries full public and employers liability insurance. We advertise in a number of local magazines however I am pleased to say that the majority of our work still comes from word of mouth. 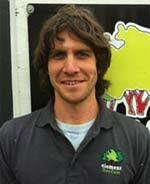 I studied Arboriculture at Moreton Morrell where I achieved a distinction level Foundation Degree (FdSc). I subsequently continued my learning by completing further competency certificates in tree work and machinery operations. As the owner of the business I consider it of vital importance to uphold the maximum level of industry knowledge and practical ability throughout the company’s workforce. I therefore ensure that all my team are industry qualified and carry the relevant certificates of competency required to carry out the jobs at hand. On-going updates and learning opportunities are made open to all staff to ensure qualifications and knowledge are kept up to date. As a company we place a high value on professionalism and quality workmanship and work in partnership with each client. The priority of every job is to ensure customer satisfaction without compromising the correct working practices intrinsic to the health and vigour of every tree. 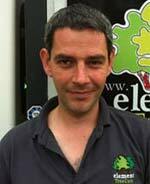 Element Tree Care carries £5Million Public Liability Insurance and £10Million Employers Liability Insurance. All management and senior workforce have a Foundation Degree qualification (FdSc) in Arboriculture and Horticulture. Element Tree Care ensures all operators carry the relevant certificates of competency and have undergone NPTC training and assessments for each qualification. 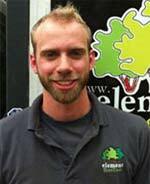 Element Tree Care offers free advice to all customers. Written quotations are provided for all jobs and are also free of charge. We cover all aspects of tree and hedge work, if there is a service that you require but you do not see it listed below then please send an enquiry via email and we will be happy to discuss your requirements further. A reduction and shaping of a tree involves the removal of growth from every branch within the tree canopy forming a smaller, natural shape. Reductions are most commonly carried out in the form of percentages based upon 100% being the entire canopy. For example to perform a 25% crown reduction would be to make the canopy of the tree smaller by a quarter. Crown thinning is the removal of selected branches within the canopy of a tree. Beginning by removing crossing and diseased branches the desired outcome is to make the centre of the canopy sparser. This allows more light penetration through the canopy in shady areas, reduces the wind loading of a canopy by allowing air to pass through more easily and can also be used as a pest control on fruit trees. Pollarding is often carried out on trees in roadside areas, and those on riversides, but this method of tree management can also be adopted in the domestic garden. It is the removal of the entire canopy of a tree, pruning back to its main branches to form a skeletal style structure. The tree then shoots from the pruning points to re-form a canopy. This process is repeated throughout the life of the tree and is often used to make the canopy of large trees smaller and more manageable. Coppicing is a form of husbandry used mainly in woodland management. It involves the removal of a tree to ground level enabling it to produce new growth from the stump. Certain species of tree react better to coppicing than others such as hazel, willow, ash. By using a pedestrian grinding machine, tree stumps can be ground down to a depth of up to 12 inches below the soil surface. This not only hides the unsightly stumps but also allows re-planting. 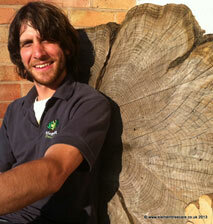 Element Tree Care is a Leamington Spa based tree surgery company serving Warwickshire and the Midlands.